Fine Art photography ~ Nature, Wildlife, Landscape. Wildlife photography. 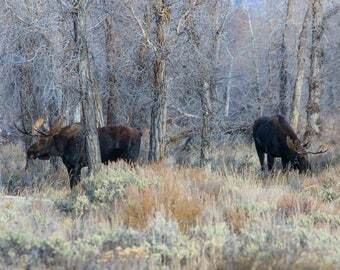 Two bull moose in Grand Teton forest. Wyoming in Fall. Color print. Black and white print. Wildlife photography. Pronghorns. Antelope. On a cold, snowy day in Wyoming. Color print. Wildlife photography. Two bull moose in a forest in fall. Color print. Black and white print. Wildlife photography. Grizzly bear foraging for food in forest. Yellowstone. Black and white print. Announcement New for 2019...coming soon. 8" x 12" without matt. Wildlife photography. Lone bison on a snowy day in Yellowstone NP. Color print. Wildlife photography. Sleeping Swan floating in dark waters. Hidden amongst the tall reeds. Color print. Wildlife Photography. Wyoming mustang horse. Winter. Snow. Color print. Black and white print. Wildlife Photography. 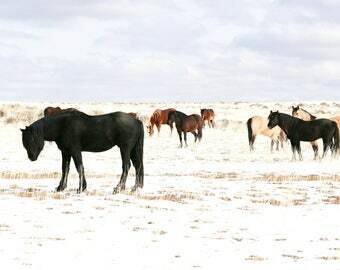 Herd of Wyoming mustang horses in Winter. Snow covered landscape. Color print. Black and white print. Wildlife Photography. Wyoming mustang horse. Snow covered hills. Color print. Black and white print. Wildlife Photography. Mustang horses in snow. Winter in Wyoming. Color print. Black and White print. Wildlife Photography. Blue eyed Mustang horses. Winter in Wyoming. Color print. Black and white print. Wildlife Photography. 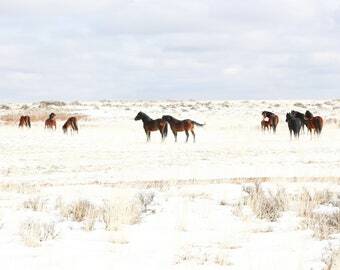 Colorful herd of Wyoming mustang horses in winter. Snow covered land. Color print. Black and white print. Wildlife Photography. Red Wyoming mustang horse in winter. Snowy landscape. Color print. Black and white print. Wildlife Photography. 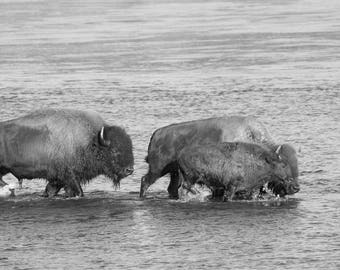 Bison herd crossing Yellowstone River in spring time. Black and white print. Wildlife photography. Bull moose in the Tetons. Fall. Color print. Black and white print. Landscape photography. The many colors of Yellowstone's Grand Canyon. Color print. Wildlife photography. White Pelican in flight. Snow topped Rocky Mountain backdrop. Springtime in Wyoming. Color print. Wildlife Photography. White Pelican in flight over Wyoming mountains. Color print. Landscape photography. Riverside Geyser. Yellowstone NP. Black & white print. Landscape photography. Deep blue hot spring. Yellowstone NP. Color print. Landscape photography. 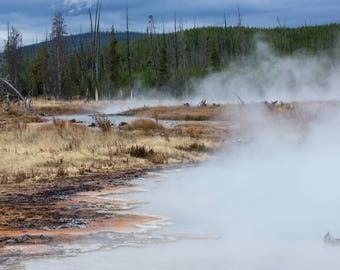 A river of steamy hot water in stormy backcountry Yellowstone NP. Color print. What a cool photo! Bison in the snow just look so beautiful. Thank you for a perfect transaction!! Wildlife photography. Lone bison on a snowy day in Yellowstone. Color print. I absolutely LOVE this unique photo! What a lucky day you had to be able to capture these pronghorn slogging through deep snow. You can almost feel their struggles. Excellent transaction and wonderful photo! Thanks so very much. Purchased moose photo for gift, fantastic print, perfect coloring and quick shipping. I had it mounted in a cedar frame and it made a beautiful gift. Wildlife photography - Two bull moose in a forest. Professional printing and computerized mat cutting.